This 2018 Land Rover Range Rover is proudly offered by Prestige Imports Do so much more with one vehicle. This Land Rover Range Rover gives you everything you need an automobile to be. 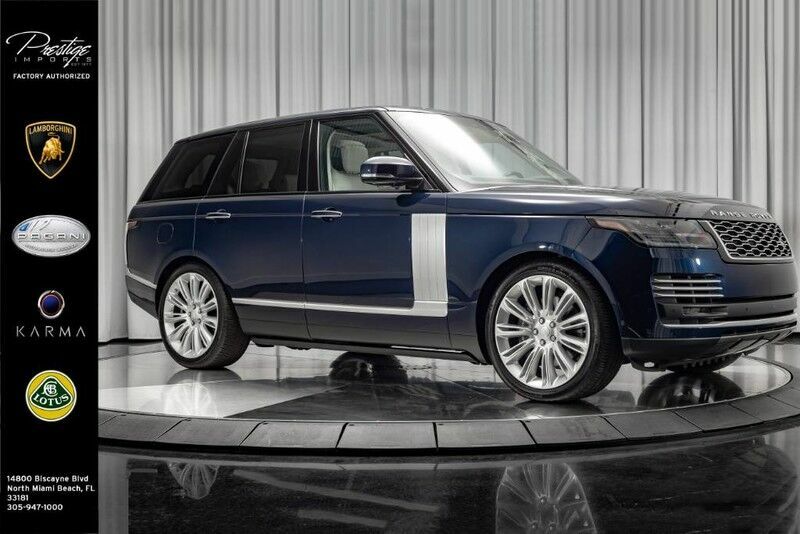 Sophistication & understated luxury comes standard on this Land Rover Range Rover . Well-known by many, the Range Rover has become a household name in the realm of quality and prestige. Take home this Land Rover Range Rover , and you will have the power of 4WD. It's a great feature when you need to drive over tricky terrain or through inclement weather. If you're looking for a one-of-a-kind automobile, look no further. With an efficient and easy to use navigation system, this Land Rover Range Rover will help get you from Point A to Point B in no time flat. Added comfort with contemporary style is the leather interior to heighten the quality and craftsmanship for the Land Rover Range Rover Feel pleased in your decision to buy this Land Rover Range Rover as it's still covered under the manufacturer's warranty. If not for a few miles on the odometer you would be hard-pressed to know this 2018 Land Rover Range Rover is a pre-owned vehicle.